Work As We Know It Is Changing–Get Ready! 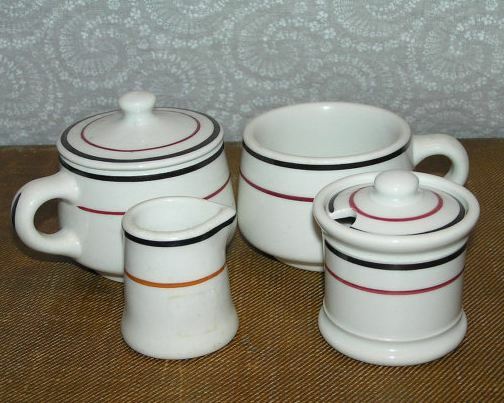 My maternal grandmother went to work when she was thirteen years old at a china factory that made dishes for hotels and restaurants and, eventually, naval ships. She stayed in a rental room with her two-year-older sister during the week and went home on the weekends. She got married when she was seventeen and continued to work at the factory sporadically. She was very good at what she did. She was a Master Painter and she supported her family of eight during the Depression by painting. It never occurred to her that that factory wouldn’t always be there, but when she was forty-seven the plant went out of business, taking hundreds of jobs with it. My paternal grandfather spent his entire professional life at the Baltimore & Ohio Railroad, most of it as engineer driving passenger trains. He told my father not to go to work for the railroad, because it wasn’t going to last. 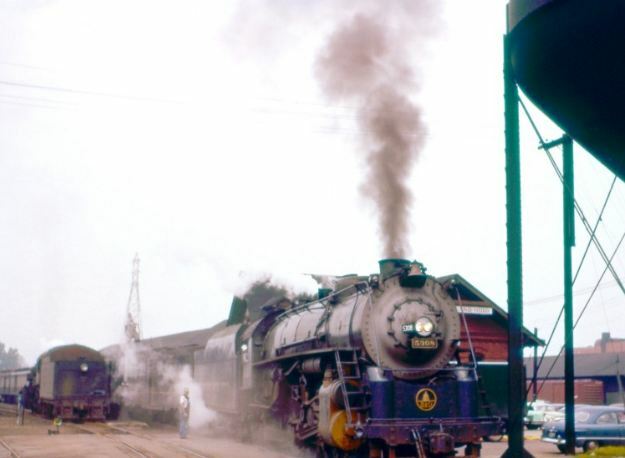 The Baltimore & Ohio Railroad went out of business three years after my grandfather retired–taking hundreds of jobs with it. My mother’s cousin was forced to retire from the steel mill when he was fifty years old. 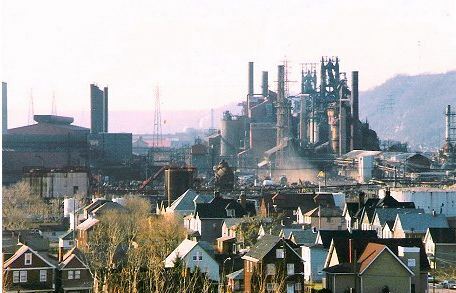 He wrote about it in an article published in the Beaver County (Pa) Times, “Now time has changed again, old friend [the steel mill] and now times are not certainly in your favor. I am reasonably certain that my sons will never know you as I have but you can be sure I will tell them your story and how finally you were befallen by so many uncontrollable factors, and how you, who meant so much to so many, now sit mostly idle as wind whistles through your empty buildings; your coke batteries, your blast furnaces and continuous caster are now cold, dark, and silent.” And hundreds of jobs gone. You may have similar stories from your grandparents, parents and even from your own experience. This is happening to us. Companies and work as we know it are changing irrevocably. It’s sad. There is a lot to grieve. There are things you can do about it, though, so when YOUR company and YOUR job change, you land on your feet. I read a couple of things over the weekend that discuss something that I’m seeing in the workforce among my coaching and organizational clients. It is the next way that work will be. The longer you don’t believe it, the louder you rail against it, the longer it will be before you are ready for the next “way we work.” The first thing I read was The Rise of the Supertemp by Jody Greenstone Miller and Matt Miller in Harvard Business Review. They describe a phenomenon that many of us have seen. Companies are going to contract workers. According to a McKinsey 2011 study cited in the article, 58% of US companies surveyed are planning to increase use of temporary employees AT ALL LEVELS. Not only are they using project, technical and finance contract workers, they are starting to hire contract Executive talent–business development, marketing, lawyers, CFOs, and even CEOs. BOTH companies and Executives need to adjust to this new reality. Companies need to learn how to organize work so that these Supertemps can come in and make a difference. Mostly this means that work needs to be organized into project-type work. Executives need to package and sell themselves for this work. The most telling thing in the Harvard article, however, is that those who have done this work DO NOT want to return to the ‘old way.’ This is true of the people I know who have done this kind of work as well. They really like it. I started this blog out of frustration. I had just talked to my umpteenth client/friend/student/colleague who found him/herself out of a job with a stone cold network and a total freak out about what to do. (See my first blog post–Get Ready to Lose Your Job) Networking definitely helps when you need to find a job. In fact, it is probably the best tool to have in your arsenal for finding a job. These days, a powerful network can make the difference between finding a job in weeks or months and it taking more than a year. Networking also helps with just about everything else you might need–getting promoted, finding business opportunities, selling products, building your reputation/brand, getting answers to tough questions, staying in touch, and even finding someone to date (I’ll leave this last one to other blog writers). You can build your network purposefully, or you can build it serendipitously, but be sure to keep building it. 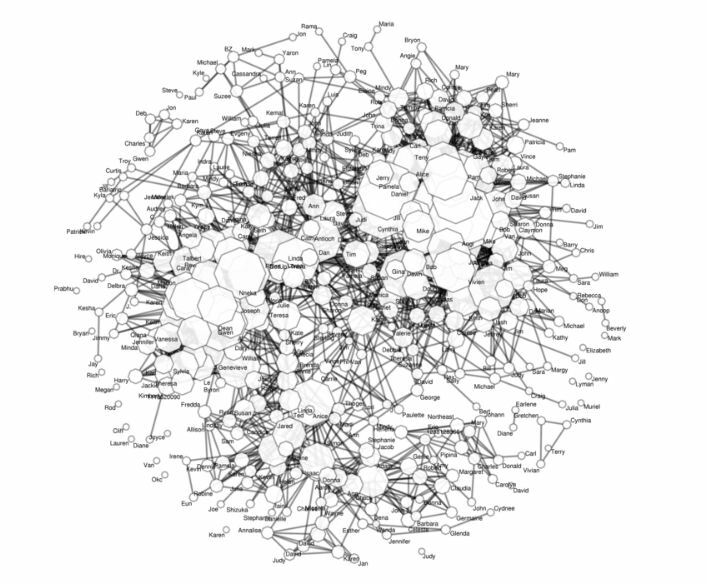 Remember, though, networks are about RELATIONSHIPS, not about numbers or names or tools or connections. Let’s talk first about building it serendipitously. There are marvelous tools available now that make it easy and fun. Facebook, Linkedin, and Google+ are the top tools right now, but there are many more–Plaxo, Twitter, MyLife, etc. Not being involved in a social network these days is like not having a resume or appropriate business attire. To function in today’s business world–no matter your age or organizational position–you have to be saavy enough to be using social networks. If you participate in these social networks–let’s say Facebook or Linkedin–and just reach out to people you know and accept invitations from people who reach out to you, you will build your network. If you particpate in LinkedIn Groups discussions, answer questions and comment on people’s status, you will strengthen the connections/relationships. If you share a little of who you are on Facebook and comment on friends’ posts, you will build the relationships. It starts at one level and grows to other levels. It has to be real. Superficial interactions are obvious and quickly shunned. If you do it gradually over time, then it doesn’t take a lot of time and you have the beginnings of what you need when you need to look for a job or a promotion or business opportunities. This serendipitous network building also has the benefit of creating a network of strong connections–you know all these people pretty well. When you need something from these folks, you are more likely to be comfortable asking, and they are likely to respond. Not much work/lots of potential benefit. Why not? The other way to build your network is purposefully. This is what I recommend. Take a look at your networks. What do you see? If your networks are anything like mine (and they may not be–every network is unique), you will see people who are “hubs,” and you will see clusters. For me, one of the interesting things about these two pictures is that some of the “hubs” of my Facebook network are on the edges of my “clusters” on LinkedIn. This makes sense to me, because I see these as two different networks. One is more friends and family and one is more professional. There is strong overlap between the two, but there are lots of people on one and not the other. The LinkedIn Maps feature allows you to label the colored clusters. 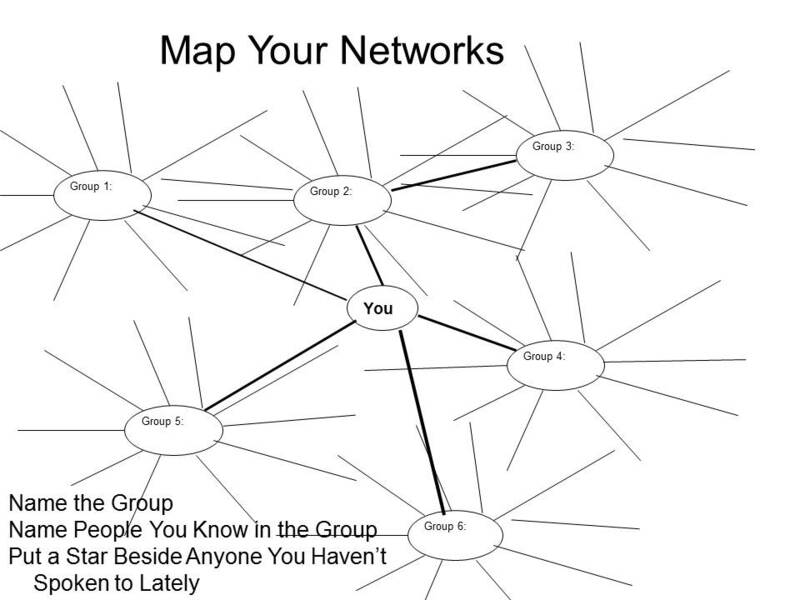 This provides you with the ability to see the relationships among the groups in your network. Now, pull up. Look again. What do you see? What is there? What is missing? What Do You Want From Your Network? Do you want a job? Do you want to make a career change? Do you want a promotion? Do you want to make sales? Do you want business opportunities? Do you want venture capital money? 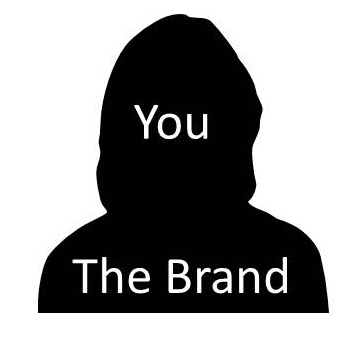 Do you want to build your brand? Now, based on what you want, look at your network again. Can it get you what you want today? What’s missing? Professional connections in a particular field? Venture capitalists? Senior executives at other companies? Senior executives at your company? Are there people at all levels in organizations? Are there people at all generations in companies? What about geography? Do you have a strong network in all the locations you need? First, let’s go old school. On paper, or using mind mapping software, do a brain storm of who you know. Start with the groups you belong to or are associated with. Once you’ve listed the groups, start listing the people associated with the groups. Who are the key players in those groups? Who are the best connected? Who have you talked to lately? If you haven’t talked/connected with people, then reach out to them. Do it via email, phone or one of the social networking sites. Prioritize people according to the purpose of your network. Address what is missing. How can you reach out to people you need to be connected to in those areas that you need to grow? Get introductions through your existing connections. Use the helpful tools that LinkedIn provides. Attend professional functions, follow thought leaders’ blogs and make comments. Participate in Linkedin Groups discussions. Create a plan on how you’re going to keep up with your network. Do regular (but not obsessive) work to stay in touch with your existing network and to grow it. It’s about the numbers. IIt’s really about quality connections. It’s about your connections’ job title. 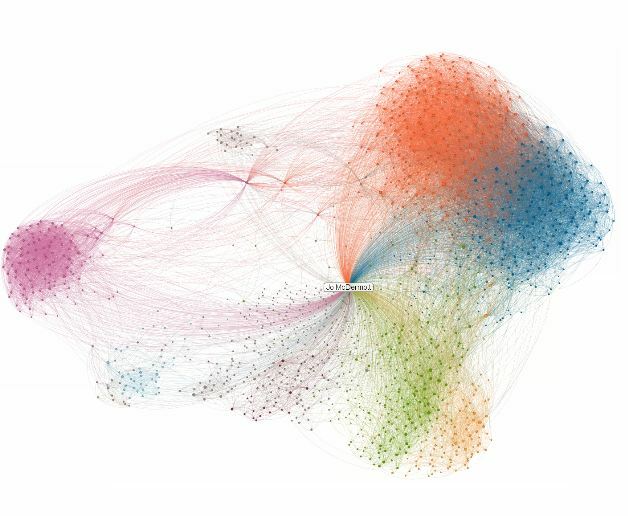 Looking at the visualization of your network should show you that the ‘most’ connected people are not necessarily (and not even likely) the highest ranking. Are You a Good Fit For Your Organization? Two key components of managing your career to success are to know yourself well and to understand your organizational environment. The next step is to evaluate your fit within your organizational culture. All organizations have cultures–like personalites. The culture of an organization is like the water that fish swim in. The people who work in the organization are pretty much unaware of the culture on a daily basis. It surrounds them and drives a lot of the behavior, it includes the unwritten rules and the things that are important, the values, the rituals and the history. It is very likely that you know a lot about the culture without really realizing that you do. This exercise will help you see your behavior within the context of the organization. One good way to evaluate your fit in the organization is to first assess your behaviors, like decisiveness or leadership, on a continuum and then to do the same assessment looking through the lens of what the organization rewards in that behavior. Take a list of behaviors like those below and first mark where you believe that you are on the continuum between the two extremes of the behavior. Go with your gut. Try not to answer according to where you “should” be, but rather where you believe you are. 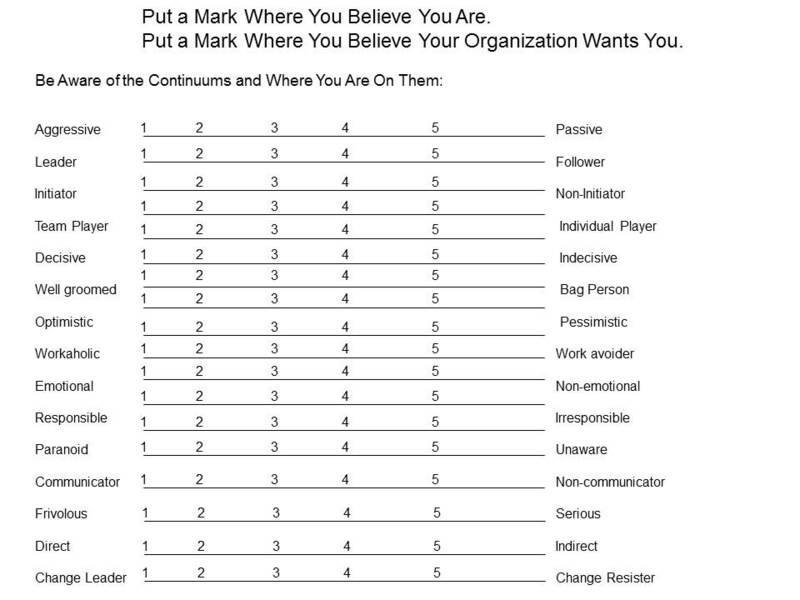 Then make a mark on the same continua according to where you believe your organization wants you to be. Think about what you’ve heard from managers, in 360 assessments, in reviews. Think about the people in your organization who are obviously successful and highly thought of–where does their behavior fit? Even if you aren’t completely right about what your organization wants, you will be able to identify the biggest discrepancies. 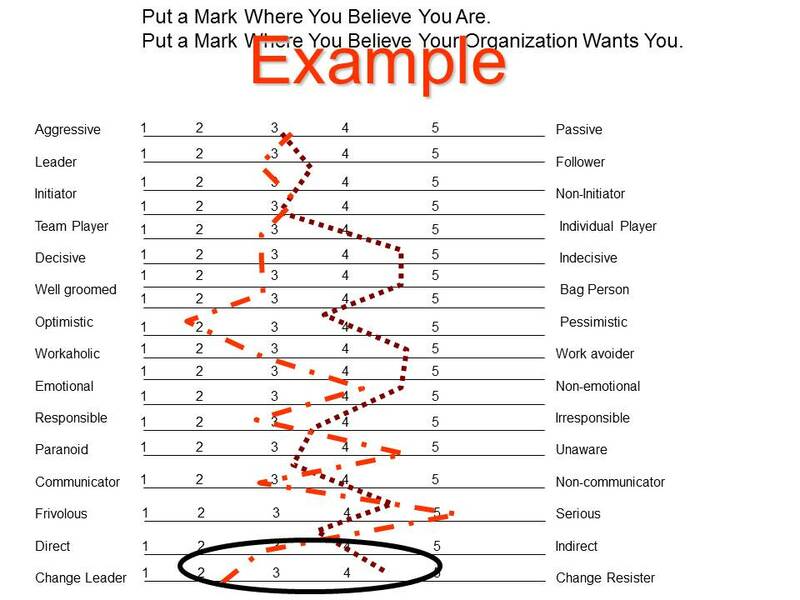 Once you have marked where you think you are and where you think the organization wants to you to be, connect each set of marks like in the example below. This will provide you with a graphic that shows you where the gaps are between where your behavior is and what the organization’s norm is. For example, if you look at the continuum Optimistic . . . Pessimistic or at the bottom, Change Leader . . . Change Resister, you see that there is a gap. You can do nothing. You can decide this is who you are and you aren’t willing to change to fit better in your organization. You can decide to change your behaviors (remember, behavior is not WHO you are). Think about the way you are different at your boss’ staff meeting than at home, or how you are different at church than you are at girls-night-out. You can change your behavior without changing who you are. When you learn to change your behavior, you have more control over your career. You can be selective about which behaviors you want to change. Which behavior have you heard the most about? Which one do you think would be the easiest to work on (it is always best to start with baby steps)? Observe others who have the behavior you would like to have. Imitate them. Try it out. Share with someone that you’re trying to change and ask him to give you feedback on how you’re doing. Just knowing that someone is watching you will help you be more aware and will push you to try harder. Practice “being” different in your mind. Imagine what you look like, what you say, how you sound. If the behavior you’re trying to change is something you’ve heard about in your reviews, make sure that you demonstrate the new behavior in front of your boss. It’s normal to be uncomfortable as you go through this process. Keep trying. Don’t expect others to notice at first. It will take a while. That makes it easier, though, because it gives you some time to practice and get more comfortable. It’s pretty easy to deal with being told that you are great, that you’ve nailed the job, that you are the best thing since sliced bread. Unfortunately, that isn’t the feedback most of us get most of the time. We get mixed feedback. We are told the good things that we do and the not so good things that we do. Since the former is not difficult how to deal with, let’s talk about dealing with feedback that you hate. Overreact–hear only the bad feedback, and then not put it in perspective; sometimes, people even leave over negative feedback–a serious overreaction! 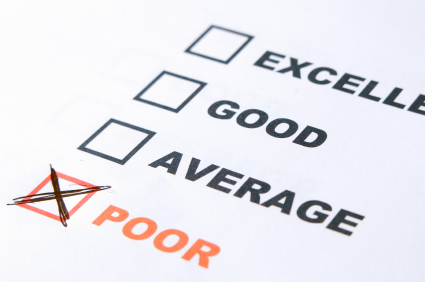 One of the most important things to remember with feedback is that it is correct. It is an accurate expression of someone’s OPINION of your performance. You can tell yourself that that person’s opinion isn’t important. You can tell yourself that that person doesn’t know enough about your performance to be completely correct. But you can’t say that s/he isn’t right, because s/he has expressed his/her opinion, not a universal truth. You need to ask yourself, why does the person have that opinion. Look at the list of normal reactions, above. When you come up with your response on “why” the person thinks what s/he does, which of the reactions are you having? Take a “that’s an interesting opinion” approach. Look at your interactions with the person. Filter out everything else. What/when/how does the person see you? Does the person know you outside of a particular kind of exchange? How did you meet? Do you listen to the person? Do you treat the person with respect? Do you make the person’s life easier or harder? Now, What’cha Gonna Do About It? The initial reaction is one thing. Hopefully, you’re able to listen to it and to take it in as an interesting opinion. Then, you need to figure out what to do about it. I was once reorganized into a new department. It was a department completely outside of anything I had ever done. I also outranked all my peers. Let me say that again. My peers were sitting there in that department, doing their job and plotting their career paths and suddenly I was reorganized into the middle of their career paths. I outranked them (read a step closer to their next step than they were). From their perspective, I knew NOTHING about the work of their department. They didn’t ask for me, they didn’t want me, and they didn’t particularly like me. As a part of my first assignment in that job, I was evaluating executive feedback instruments. As a part of that assignment, I had them fill out a feedback form on me (within 3 weeks of starting in this job). I got the WORST feedback that I had ever gotten. I had had good feedback and not so good feedback in the past, but this time, I was completely blown away by the feedback I received. I rationalized–they don’t know me. They don’t like me. They are jealous. I diminished–their opinion doesn’t count. My boss’ opinion is the only one that counts. I don’t care what they think. I disagreed–luckily in my head. Here are the reasons they are wrong: 1), 2), 3), etc. I overreacted–yes, I did. I could only see the negative in what they said. If there was any positive, I certainly didn’t see it (and I don’t remember it now). I thought, “I’ll just leave . . .” I was angry. I obsessed–luckily, I got the feedback on a Friday. I might have had to call in sick if I hadn’t had a couple of days to cool down. I thought about it non-stop. Luckily, I had a lot of knowledge about how you should react to feedback. Notice that didn’t stop me from the reactions listed above. It did, however, help me come full circle. No matter what I thought about their opinion. No matter how much I understood about why they might have given me the (unfair, I thought) feedback that they did. I understood that their opinion was their opinion and it was right. After I cooled down, I decided to use the experience to experiment with how to turn the situation around (because I sure had a situation to turn around!). I put together a response. I listed all the things that I had heard from the feedback. I literally put together a presentation that listed the questions and the responses. I presented it neutrally (as if it was about someone else). (NOTE: if it hadn’t been an evaluation of a feedback instrument, I probably would have done this individually, not with all of them together). I came up with responses to the feedback. I was rated low in communicating–I came up with a list of the ways I would communicate in the future. Then I asked them if these would be adequate if I actually did it. I took the top three most negative (I don’t remember what they were any more), and then I came up with suggested improvements. It was hard (because I didn’t really agree with the feedback–it didn’t match what I had heard before). I focused on being objective. For those things that I really didn’t agree with to the point that I didn’t have any “improvement suggestions,” I just didn’t deal with. Once people give you feedback, they expect to see changes. Small changes, as long as they see them–as long as they perceive that you’re trying–are enough. That means, somehow or other you need to let them know that you’re trying. That you want to make the situation better. That you appreciate, value and respect their feedback. People give you a lot of benefit of the doubt if they think you are trying, especially in response to something they feel a bit guilty about. Experiment. You won’t do it right the first time every time, but once you learn how to do it, you can get good at it. Managing people’s perceptions, accepting and acting on feedback, are huge tools for a successful career. Have you ever thought about how your boss thinks about you? Not what he thinks, but how he thinks? What about how the organization thinks about you? How about the top leadership in your organization? What about the folks in your professional organizations? Do you stand out in any way? Do they think of a certain kind of expertise or talent? Do they think of a certain kind of results? When you think of McDonald’s you get a “picture” of what McDonald’s is. Depending on your age and interests, that image might be different, but it pops into your mind. The same is true of Coke, or Apple or Sears or Fanta. You make decisions about those brands based on your values, interests, likes/dislikes, income and other demographics. You want to be able to control (or at least strongly influence) how people think of you (your brand) when they think of you. The more you influence your brand and the more aware you are of it, the more likely you are to be able to manage your career successfully. Our CEO had a leadership meeting and announced the formation of a trilogy of high performance projects. He announced that the people selected to work on these projects would be those who were identified across the organization as the “best” in each of the areas. I was thrilled. I was the “best” at one of them. (Ok, maybe I wasn’t really, but at the time, I was absolutely, completely, without a doubt sure of it.) So . . . I waited for the invitation. It didn’t come. Someone else in my division got selected. Someone who not only wasn’t as good at it as me, but who wasn’t even interested. I went from being angry to being FURIOUS! How could they announce that the ‘best’ would be selected and then not pick me!?!?! I couldn’t let it go. I asked my manager. I asked the VP of HR. They didn’t know. I finally asked my VP. His reaction was one of the best lessons I ever got–although not at all fun! He was completely, genuinely surprised that I even thought I should have been selected. It hadn’t occurred to him. It was in this very painful way that I realized that he really didn’t know that I was the ‘best.’ The person he had selected was a charming, talented person who regularly delivered results. He didn’t know anything about the subject matter at hand, but that didn’t really matter that much. He was easy to get along with. He was very competent (at other stuff). He was charming. He got results. So he got picked. I, on the other hand, was pretty much an unknown to the VP who had my career in his control. He certainly didn’t think of me–at all. This was completely eye opening. And when I got over the shock of it, I got over being so mad, too. I could see how and why he was oblivious to my strengths. I was pretty much totally responsible for that. I hadn’t made a point of selling my abilities to the ‘powers-that-be’ in the organization. I hadn’t made sure that I was thought of as an expert in the organization. Once I figured this out, I went about building my ‘brand’ in the organization. And I got ‘unstuck’–promoted within less than a year. And then I got promoted again. And then again. Be an expert. Build your expertise. Within your organization, become THE expert on something. Be the ‘go-to’ person for that subject. Act like you’re dating. Remember back to the days when you were dating. Somehow or other you always managed to be in the right place at the right time to ‘meet’ up with the person of interest. You managed to ensure that s/he knew how great you were. You managed to appear to be as smart as possible, as talented, as charming as possible. Do that again–just in a different context–prove how ‘right’ you are for the organization. Be brave. Stand out. Blending in will not do you any good long-term. What’s different/better/a more perfect fit about you? How can you get it communicated? Make sure other people are ‘selling’ you. The theory behind social media marketing is that buzz created among ‘friends’ is more credible than advertising by the company. I can’t tell you how many times I was in meetings of managers who were deciding who got what job. The candidates who were known of by more deciders were the ones who got the jobs. EVEN IF THEY WEREN’T the most qualified on paper. If you know of someone, you feel more comfortable choosing him than a total unknown. Imagine how much better someone did who was known of (because they had effectively sold their brand) by all the deciders. Get over any thoughts that ‘selling’ your brand is unseemly. This is your life, your livelihood, your career. This is the way you do it. Those of us who do what we should have annual physical check-ups. People who practice preventative health care are much healthier. We take our cars for their regularly scheduled maintenance milestones. Our cars last longer, drive better and have higher resale values. Regular house maintenance (how many of us have given our houses great makeovers when we’re selling them?) leads to fewer crises and higher sales prices. But how many of us do that with our careers? 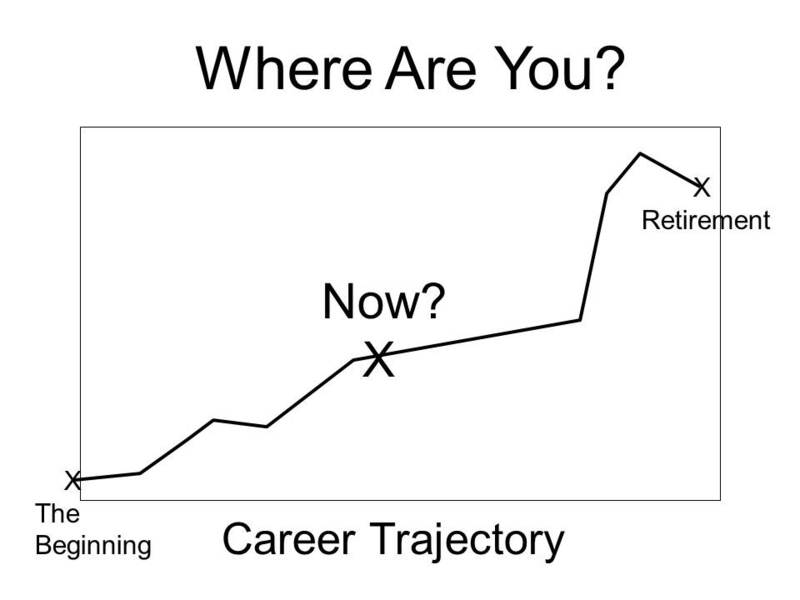 Most of us get an annual review for our job, but what about our careers? A job is a role that you play, specific functions you perform. A career is a professional or work life, a broader view, transportable, beyond your current employer, beyong your current job. Transportable. In today’s economy, transportable is priceless. 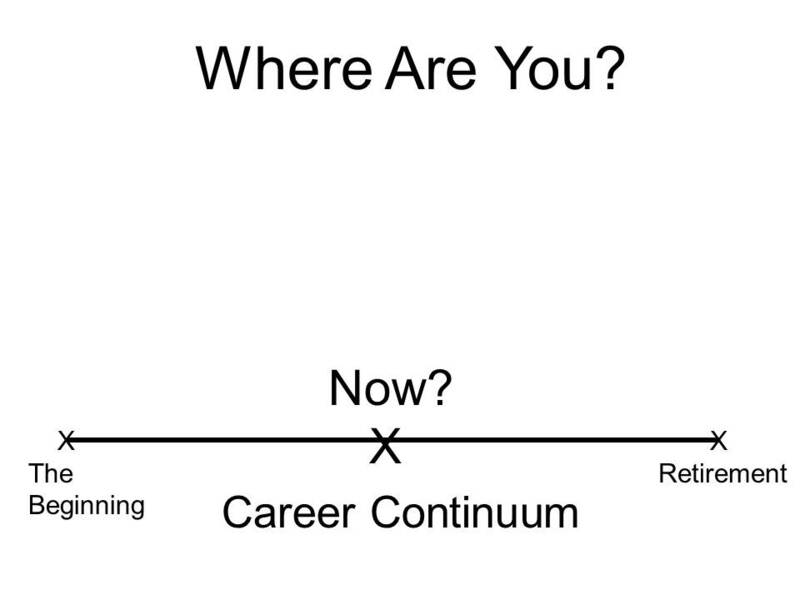 Where are you on the your career continuum? Where on you compared to where you want to be? In terms of time–how long have you worked? How much longer will you work? Are you 1/3 done? Are you 1/2 done? Between now and what is left, what do you want to accomplish? As you look at where you are, what do you need to move your career along as fast as you need to in order to get to where you want? 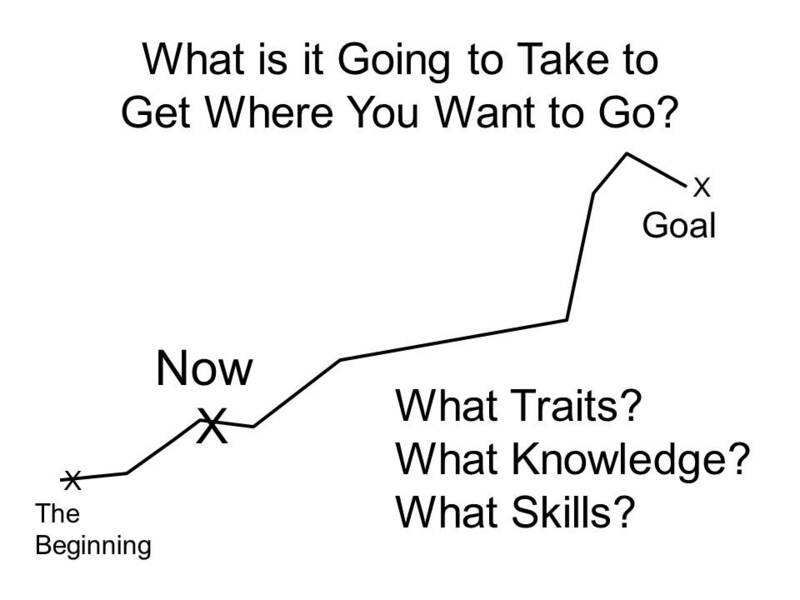 Now look at where you are in terms of what level you want to be? If you are a Director now, do you want to be C-level? Do you want to have your own business? Do you want to move into another field? Do you want to accelerate how much money you’re making? Are you moving as fast as you want to? Are you being considered for the types of positions you should be to get to the level you want? Do You Think Your Company Has the Right Direction? Do You Trust Your Organization’s Leadership? Is This Work What You Thought It Would Be? Do You Fit in the Culture? Is This the Right Work-Life Balance for You? Depending on the answers, you need to decide whether your current organization is the right place for you to accelerate your trajectory pace. If not, face it now. That doesn’t mean you need to move now–it means that you need to get ready to move. (It took me six years to get ready for my next step beyond an organization I truly loved–but once I saw that I needed to go, my focus changed to the next step rather than continuing to stay in an organization that couldn’t deliver my end-state for me). The more specific you can be in understanding what you need to know, do and be in order to reach your goal, the better you can prepare to do it. If, for example, you are a Director and you want to be C-level, you may need to be much more financially literate than you are now. You may have to be able to see the big picture better and pull yourself out of your detail focus. If you are a Project Manger and you want to be a Program Manager, you may need to know how to understand enterprise-level governance of projects and programs. I can rarely persuade people to actually do informational interviews until they are looking for jobs, and usually even then, they are out of a job before they’ll do it. It is an incredibly helpful tool for a career check-up. It helps you to understand what it takes to get to the level you want when you talk to people who’ve done it. What do they wish they had known when they were at your level? What is the most important skill at their level? What was hardest to learn/do? You walk away with a perspective on what you need to know/do/be. You are also likely to walk away with an advocate who may start looking out for you. Which Skill is So Marketable? What is that, you ask? What could possibly be the MOST marketable skill? EXECUTION. Execution comes in all flavors–marketing, IT, Project Management, Human Resources, strategy, operations, software, finance and on and on. Organizations spend tons of time in developing a strategy and planning. This work is usually done by the leaders of organizations. They then communicate the strategy and the plan to the next several levels of the organization for execution. The problem is, the strategy and the execution of that strategy are rarely aligned. According to Professor Marco Iansit of Harvard Business School, “Strategy becomes the product of the firm’s incentives, structures, and patterns of behavior, not the other way around,” in his book, One Strategy: Organization, Planning, and Decision Making. In other words, the clarity that those who develop the strategy and the plan believe that they have gets lost quickly through the lenses of the “way things work” in the organization. Research says that more than seventy percent of large projects FAIL! Depending on who you ask, between 75% and 95% of new product launches fail. Email marketing campaigns have a four percent success rate. This makes it sound like we’re all incompetent. But we aren’t. We (most of us) work very hard trying to accomplish what the company needs/wants. We just aren’t working on the right things. Those people who figure out how to execute–to actually deliver what the company needs–are highly valuable and very marketable, both within the organization and outside. To actually execute the tasks that need to happen for the organization to thrive takes everyone. It takes fully engaged, fully empowered employees who understand what needs to happen and are willing to do it–so they have to agree enough, believe in it enough, do enough to make it happen. What Does It Take To Execute? So what does this have to do with you? YOU have to engage. YOU have to be empowered. YOU have to do it. This is not about “them.” This is about you. If you want to have the most marketable skill, and the career security that goes with that, YOU have to learn how to execute. And how to get other people to execute. And you have to learn how to understand the strategy well enough to execute THE strategy, as opposed to some watered down version of it. It doesn’t matter if you are at the top of the organization, in the middle, or if you just started yesterday. You need to learn how to understand clearly what needs to happen and then to do it WITH the other folks who you work with. Remember, when you can execute consistently and persistently, you pretty much don’t have to worry about where your next job is coming from. Companies will want you.